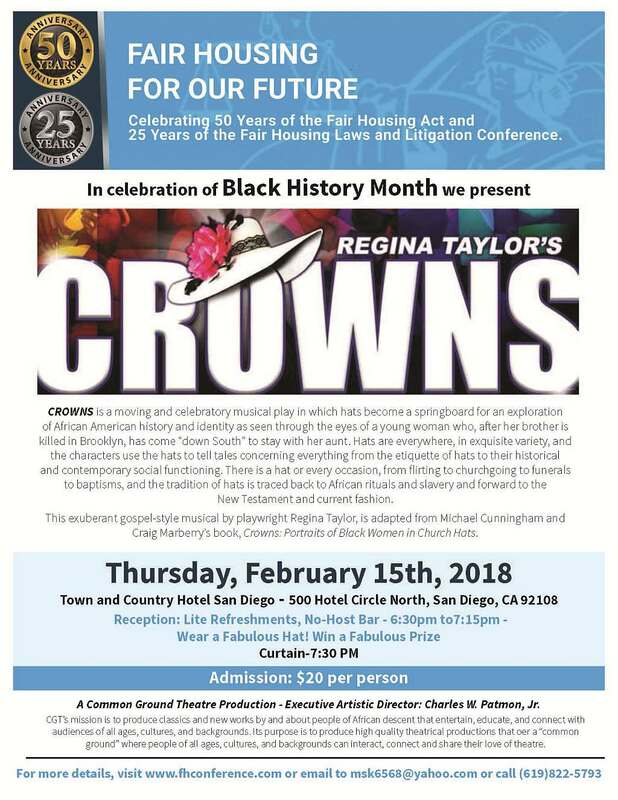 Please join Common Ground Theatre and the Fair Housing Council at the Town and Country Hotel on Thursday, February 15, 2018, for a one-time only Black History Month performance of “Crowns.” There will be a reception from 6:30-7:15, and the performance will begin at 7:30. So wear your most fabulous hat and compete for a fabulous prize! Your ticket(s) will be held at the door. If you have any questions about tickets, please call 619-917-9734. Thanks!